Oliver Twists Happy Bag - A mixed Selection of threads. The colour illustrated is Red, but other colours are available - please choose from the drop down menu. Colours illustrated in the last photograph from left to right are Red, Lime Green, Turquoise and Purple. 75m (108yds) - 100m (111yds). The metreage quoted is approximate. In reality the metreage is usually much higher depending on the thickness of the yarns included. i.e. the more fine yarns there are the higher the metreage in the pack. 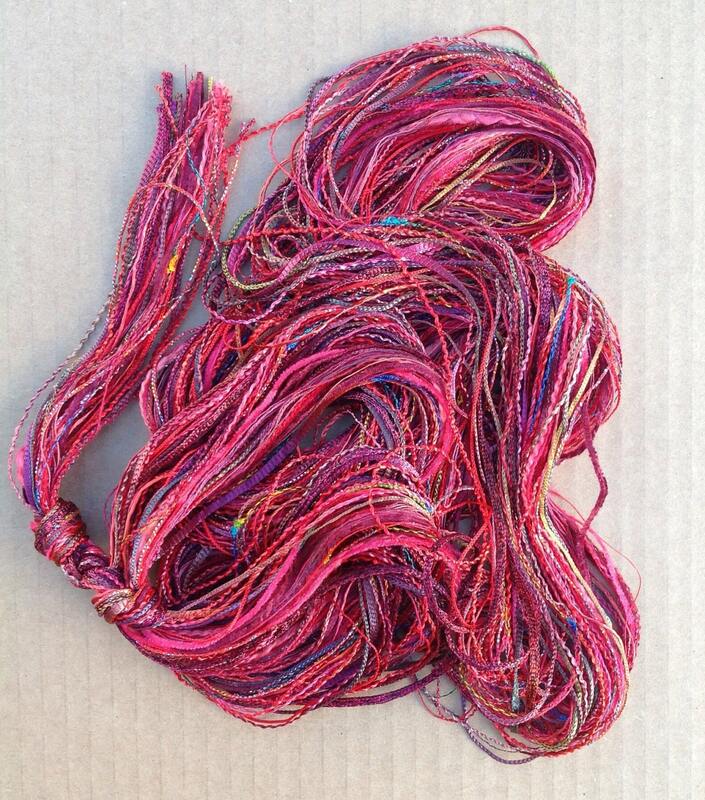 Use these threads for Embroidery, Canvaswork, Tasselmaking, mixed media work and much more. 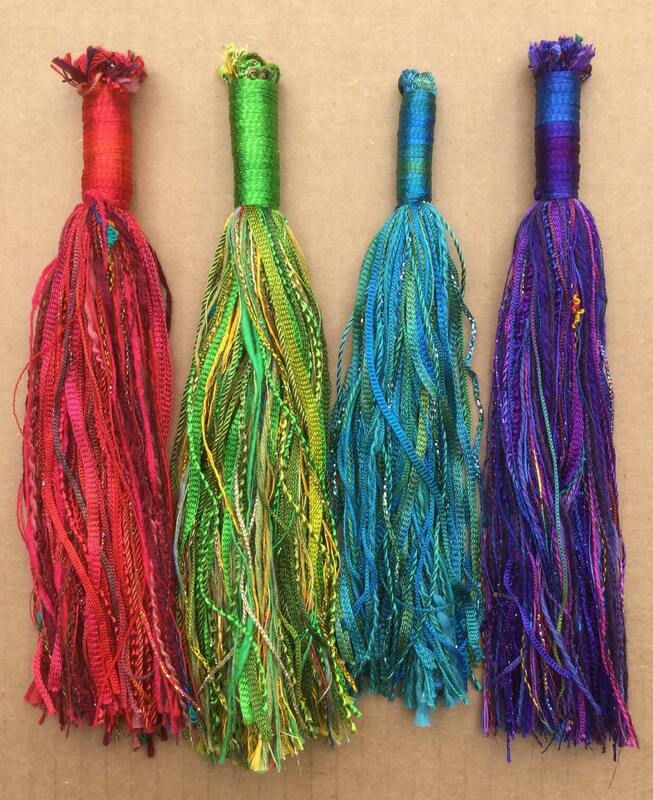 These threads make fantastic tassels as illustrated by the last photograph. 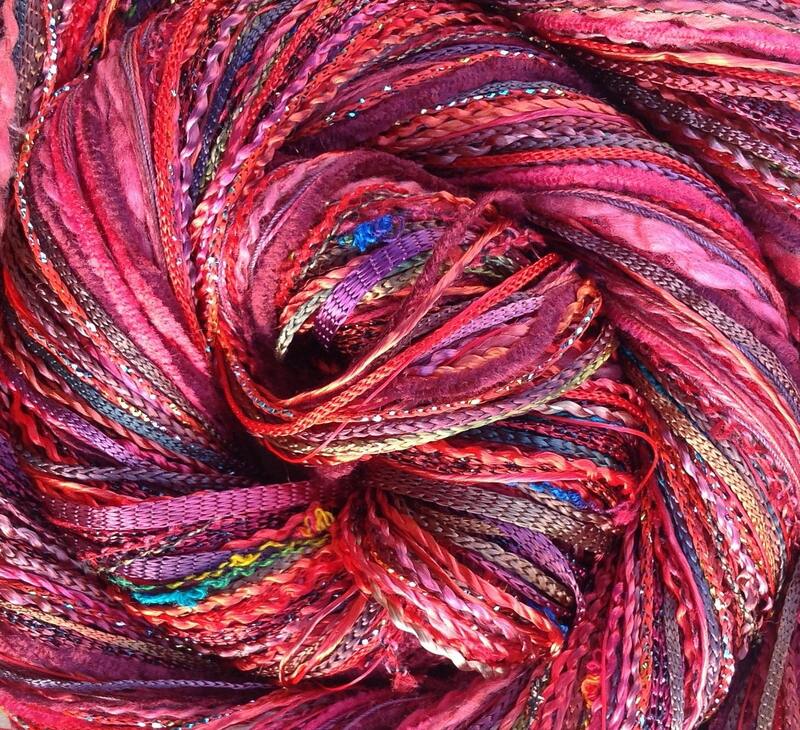 The tops of the tassels are bound by our Hand Dyed 10/167 Viscose Chainette Ribbon which is available individually or in sets of three in a variety of colour ways, here's a link to one colour set.